Frank v. Gaslamp Bar and Restaurant. Michael Kopple was recognized for their $6,897,000 verdict in a premises liability case – Frank v. Gaslamp Bar and Restaurant. 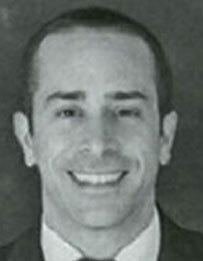 On November 17, 2010, Michael Kopple won a verdict of $6,897,000 in a re-trial of a bar fight case. The plaintiff had only incurred $22,829 in past medical expenses. During the first trial, Allied, which insured the bar, refused to settle, as it valued the case at less than the cost of defense. After the first jury hung, Allied made a “take-it or leave-it” offer of $200,000. Kopple – who refuse to be bullied by insurance companies – “left it” and tried the case a second time. The plaintiff, Kenneth Frank, was a Berkeley college student on a football scholarship, who was about to enter his senior year. In response, one of the security guards, Seminare Thompson – who was 6’4” and 290-pound – smashed out the rear passenger-side window of the vehicle with a flashlight. After Ken exited the vehicle to confront the security guards, Defendant Thompson punched Ken in the head. Ken immediately blacked-out from the blow, went into a seizure as he fell, and struck his head a second time on the pavement. It was later determined that Ken suffered a hematoma and loss of some tissue in the frontal lobe of his brain. Ken also had neuron loss on the right side of his brain. Ken was declared medically illegible to play contact sports and never returned to the football field. Due to cognitive problems, Ken was unable to complete his college degree, for which he still remains six credits short. Litigating this matter was a major battle from the outset. The defendant security guard company, Paragon, which had no insurance, declared bankruptcy during the litigation. And, Allied – the bar’s insurer – refused to provide a defense or coverage to Defendant Thompson, the hitter. As such, plaintiff’s counsel had to prove that Defendant Thompson – who was employed by the security guard company – was actually the agent of the insured bar. Further complicating matters, Paragon’s bankruptcy lawyers precluded the plaintiff from deposing any of the witness guards, but the same guards were made available to the bar’s counsel. After interviewing the guards, the bar brought seven of the witnesses to trial, requiring plaintiff to take the witness’s depositions at night during the trial just before they testified. Plaintiff’s counsel effectively excluded the defendant’s DME of the plaintiff by challenging the expert’s qualifications. Plaintiff’s counsel ultimately petitioned the Court of Appeal for a writ on the matter. The defendants’ DME psychologist never testified. On cross-examination, Kopple got Ponton to concede that he possessed no evidence that Ken had accomplished anything more significant than picking-up his dog’s poop in the 40 months since the accident. The defendants were represented by Peter Hughes of The Hughes Law Firm in San Diego. The case was tried in Department 11 of the Los Angeles Superior Court in Long Beach. The judge was Hon. Ross Klein.